Peak Colorado Fall Colors: Happening NOW! 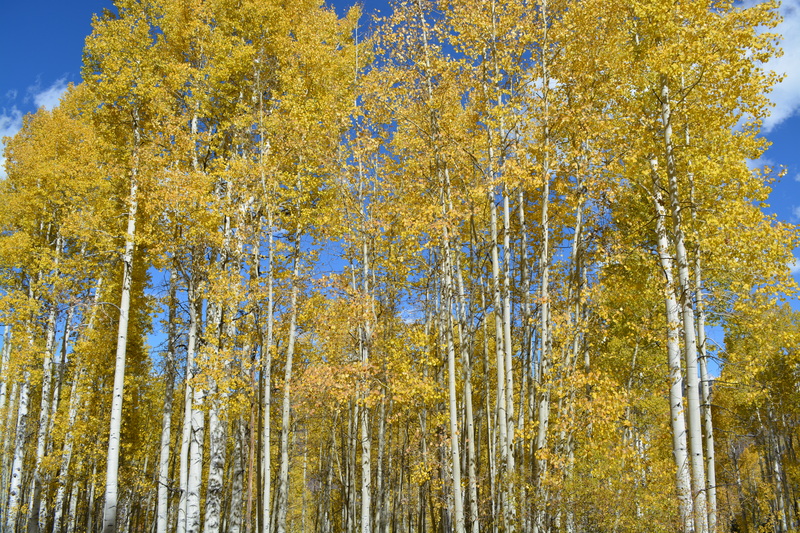 Aspens changing in Vail, Colorado. Now is the time to drop everything and head up to the mountains to witness one of Colorado greatest spectacles: the changing of the aspens. The fall colors are out in all their splendor all over our great state–particularly so in the central mountain corridor. We just spent an amazing few days in Vail taking in the Good views and eating Good meals (right now is Vail and Beaver Creek’s Restaurant Week). 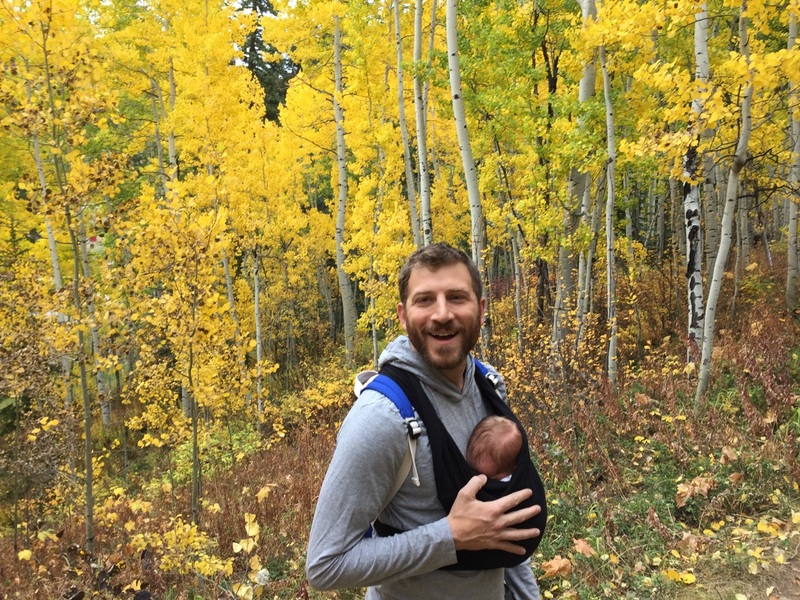 The author hiking at Vail with his newborn baby (who, sadly, slept through most of his first changing of the aspens). It is a fantastic time to be in the mountains. Not yet winter but past the peak of summer; Vail was super quiet, the trails were almost totally empty, the views were phenomenal, and the meals were delicious. Whether you’re camping, hiking, driving, or biking, there may not be a more beautiful time of year to go out and have an adventure in Colorado! The Good Life Denver is written by David Schlichter. To stay in the loop, like The Good Life Denver on Facebook and follow @thegoodlifeden on Twitter and @thegoodlifedenver on Instagram.